The beautiful land on which the Cape Byron Rudolf Steiner School is situated has a history stretching back to the beginning of the Dreaming. We acknowledge that the school is on the lands of the Arakwal people of the Bundjalung Nation, and pay our respects to elders past and present, and to the emerging elders. We acknowledge the contributions of Aboriginal Australians and non-Aboriginal Australians to the education of all children and people on this land and in this magnificent part of country. The traditional name of Byron Bay is Cavanbah, which means ‘meeting place’. 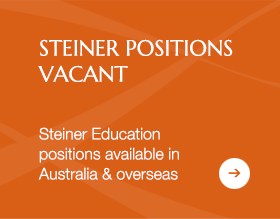 Cape Byron Rudolf Steiner School is approximately six kilometres west of Byron Bay, nestled beneath the St Helena escarpment and on the edge of wetlands and pockets of original and regenerated bushland. Drive time to the school from Mullumbimby 15 mins, Brunswick Heads 15 mins, Bangalow 10 mins, Byron Bay 5-10 mins (though traffic can be congested going into Byron at times). Mullumbimby, Bangalow and Brunswick Heads offer a range of eateries and can be more relaxed than Byron Bay. 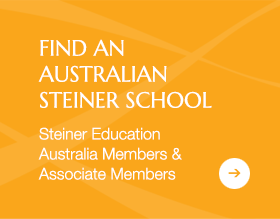 Click here for a map reference for Cape Byron Rudolf Steiner School. Websites like Airbnb or Booking.com offer a wide range of accommodation options. Byron Bay’s natural credentials are impeccable as humpback whales cruise past the headland, storms create rainbows on the mountains across the bay and hang-gliders ride the thermals above the lighthouse. Australia’s most easterly point casts a spell over everyone who goes there. With local craft and farmers’ markets, galleries, restaurants, pristine beaches, rainforests filled with waterfalls and clear mountain streams, there is a lot to see and do in the Byron area. The nearby towns of Mullumbimby, Bangalow and Brunswick Heads also feature interesting cafes, shops and areas of natural wonder. 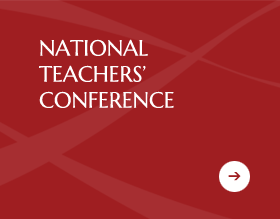 Please direct all conference enquiries to sea@steinereducation.edu.au.